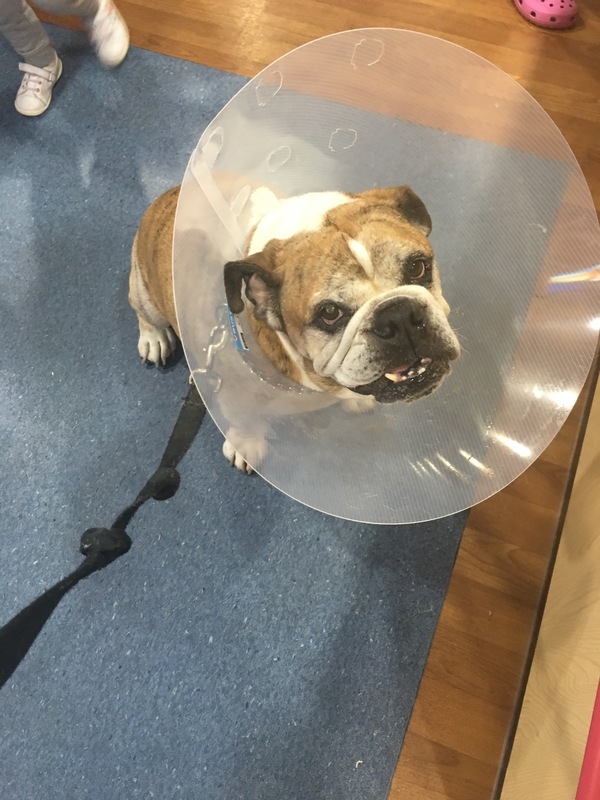 The boy who inspired all these gratitude cards :Puzo has gotten his stitches out. He had a health scare but now is doing amazingly well. 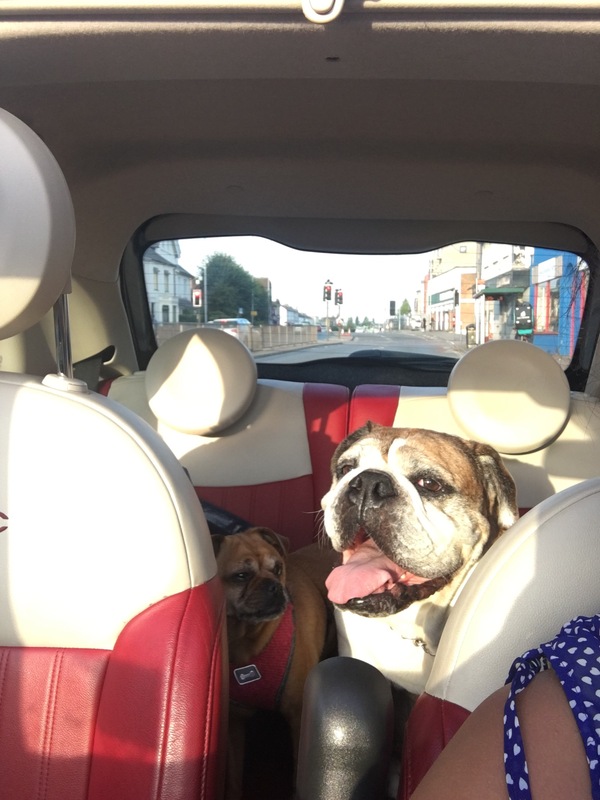 Our 9 year old English Bulldog has lived everywhere from Ohio Amish country, Hawaii , LA, Santa Barbara, and back to his homeland England. Just looking at him makes me smile. Who cannot love bully’s wrinkles? He is a living teddy bear. It’s such a relief to know your doggies are well and rested from their doggie vacation as well. Dog mommy guilt is relieved when you know they are in good hands . Each time I’m in Paris , I have my routine. 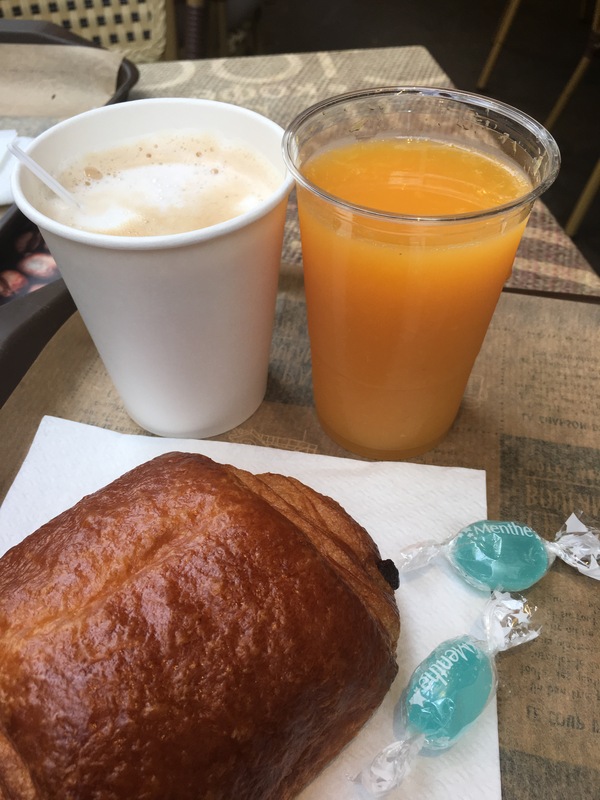 Breakfast at Boulangerie St Michael, ordering a menu complete with cafe creama, fresh orange juice, and pan au chocolate. Perhaps a toursadde. I take a brief stroll on the back alley to Shakespeare and Company bookstore, where I journal and dream. The key is to get here at 10 am , right when the bookstore opens, and the store is quiet and lacking cameras. The rest of the day then never matters. I have been to Paris enough where I don’t have to take in the tourist obligatory sites of the Eiffel Tower , Louvre, or even he Notre Dame (although I can see it from the upstairs enclave of the bookstore ). My lunch may tend to include homemade Asian noodles at Les Pates Vivantes. This is my routine I have done almost each day I am in Paris. This has been my third trip here in the past 9 months. It’s been comforting to see the familiar faces of the workers at these three haunts of mine. Although I don’t live in Paris, these three places have become my Paris. It’s almost a second home. My French has not improved at all, I still can only pronounce less than 10 phrases. But I may be getting the French attire down, ensuring I wear red lipstick to pop out of my classic casual denim, black, white, and pale pink. I feel comfortable here despite the language barrier. And I feel at ease and encouraged to push my creative boundaries. A coworker of mine looking at my Facebook posts noted that it looks like I stepped out of England and into a dream. I have only been gone 5 days, but somehow in France time is transient. A missed opportunity arose in that I could not walk the labyrinth in Chartres. I was disappointed, but I easily know I will be back within the year. A train ride back from Chartres to Paris in the evening, an Australian attendee chose to ride together in that special area allotted solely for the elderly, young families, or people with excess luggage. We fit the latter category , and I happened to sit next to a family with a two year old child . The child began becoming completely cranky and crying incessantly, as she was completely uncomfortable. The attendee I was with Sara knew a potential solution. She pulled out her I Phone and searched the music . She found the Le Leon Cameloen Song and began showing it to this family of strangers. The song worked magic , the child was instantly soothed, as the song repeated and others were played. At the end of the journey , the child said in English “bye bye” . The parents were stunned because she only speaks several French words repeatedly. 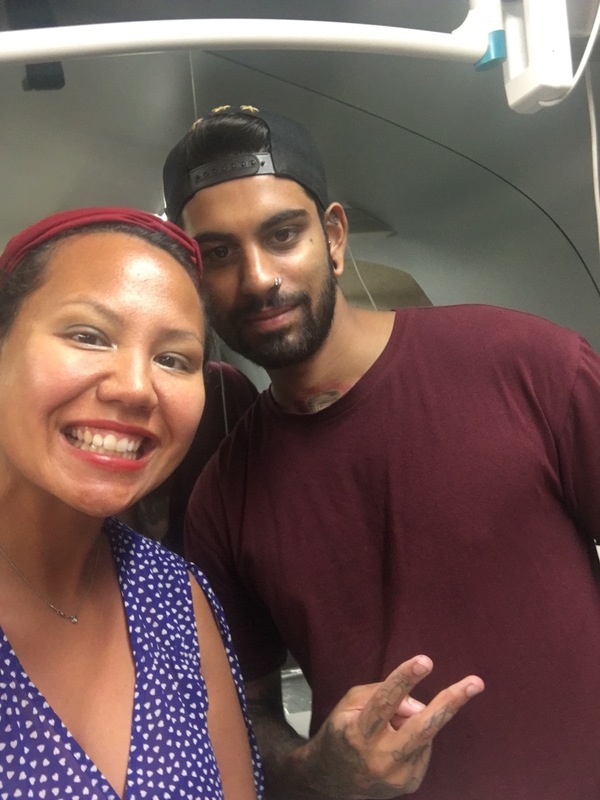 A small connection by this Aussie woman who instinctively knew to help versus ignore or complain, was amazing . 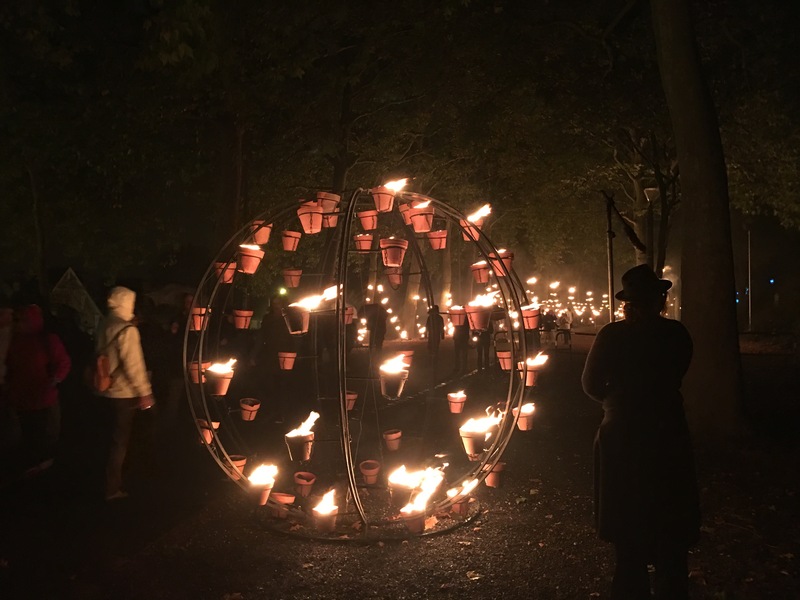 In Chartres the Lumiere festival occurs to mark the ending of summer. Watching this fire, although there were loads along a path was both invigorating and soothing. It was beautiful to see family and friends gather on a dreary Mid September Saturday eve to take in what they city had to offer this year artistically to their people. I hear the visual spectacle changes annually. Trance like music played in the background, as we stared in wonder of these creations. One of our earth’s elements being put on display, like a precious Rolex in a store window. We complain about the shift in weather , from sun to sleet. But there is potential for it to embraced like the people of Chartres. Or perhaps I could get a silly fox or angel wings . But nothing felt right . 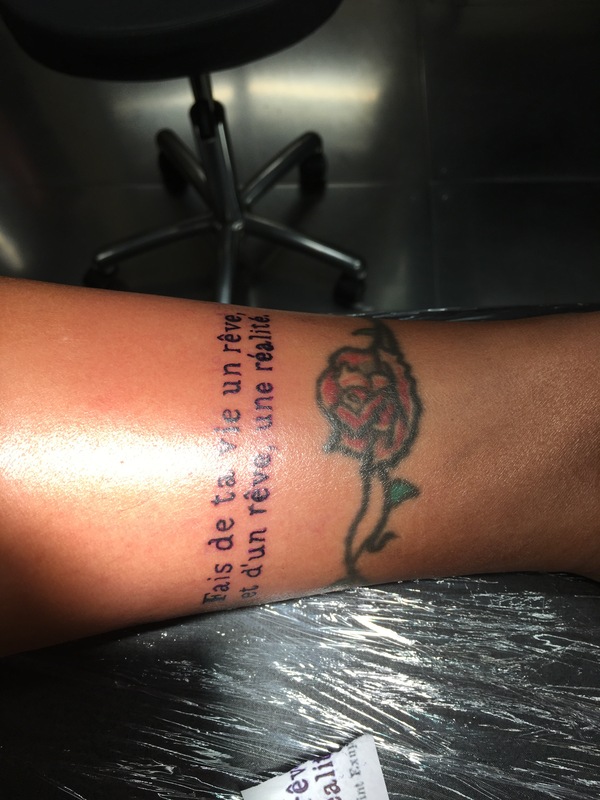 And then I stumbled upon this quote in French by the author of the Little Prince Antoine de saint-exupéry : Fais de ta vie un rêve, et d’un rêve, une réalité. Translated : Make your life a dream, and the dream a reality. This symbolised everything for me. I notice my life has been full of moments. I have been doing my dream job for three years , and I keep stumbling onto greatness. We have so much possibility inside us, but tend to set limitations. Perhaps those are limitations we inherited from our family or society and implanted them into our cells. But life does not have to be ordinary. I have had some amazing times in my life, which I am truly grateful for. Yet I almost expect these opportunities to happen to me, because I know how awe-inspiring this sense of energetic law of attraction is. Know there is more waiting for you. Have faith in others and share that with them, we all can use that boost. 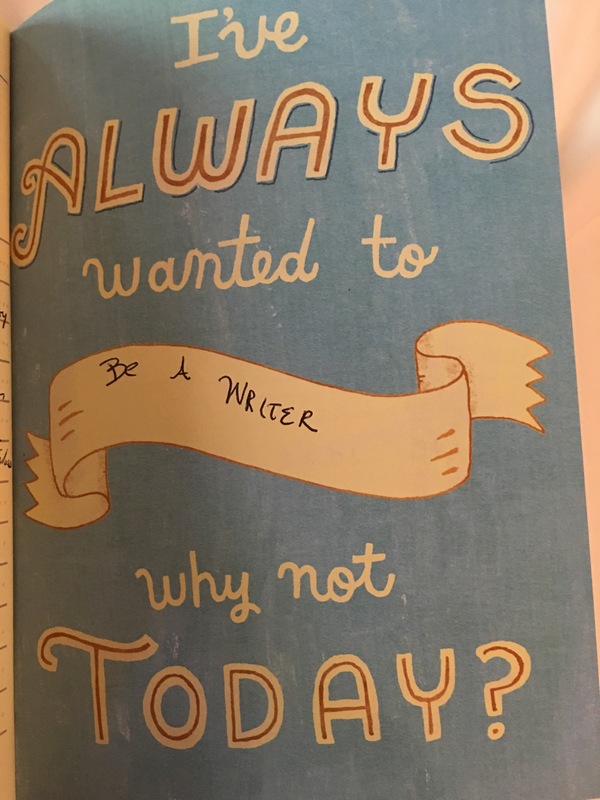 My dream profession that I secretly long for is to be a writer . Sadly I rarely I allow myself the chance to write, but each time I travel that longing deepens. This is truly apparent every time I visit the Shakespeare Bookstore in Paris. Each visit to Paris, I squeeze in this bookstore everyday. It’s like having coffee with an old friend I have been dying to visit . There’s never enough time to take in being in the atmosphere of this magical place. How I learned about the bookstore was from my favourite movie of my 20s…Before Sunset. Co-written and co-starring Ethan Hawke and Julie Delpy. My friends and I would binge watch this movie before Netflix existed , rewinding the end to further philosophise and argue over the ambiguous ending . The film was my favourite film for 10 years. This movie and then bookstore became a symbol of desire and unrequited love of : Boys, Paris, and my dream to be a writer . Tonight these dreams came true. 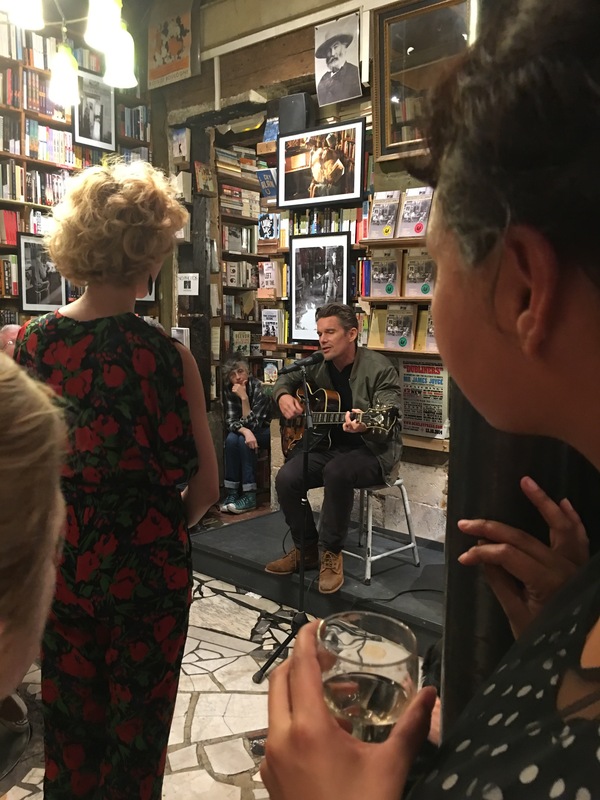 Stars aligned the day I arrived in Paris , my ultimate destination bookstore is having a release party. The backdrop of the bookstore has served as my Facebook photo for the past three months, the streets of Paris line my vision board for the year , and I jokingly commented to my friends I would run into a character from the film that night. 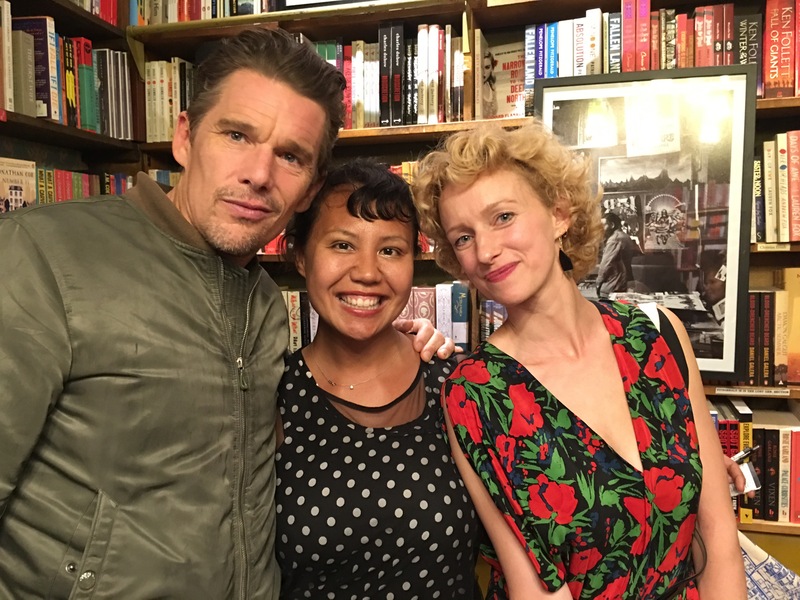 The cozy room was filled with writers , photographers , bookstore owners from around the world , and Ethan Hawke! It was one of those moments that lasted hours, and I had to continually remind myself to stay present. I needed to inhale how grateful and amazing life was. Hours after this event has ended, I am still basking in post bliss.Yesterday was a spiritual experience. My friends reminded me I had “A Moment ” which don’t seem to occur much in life anymore. 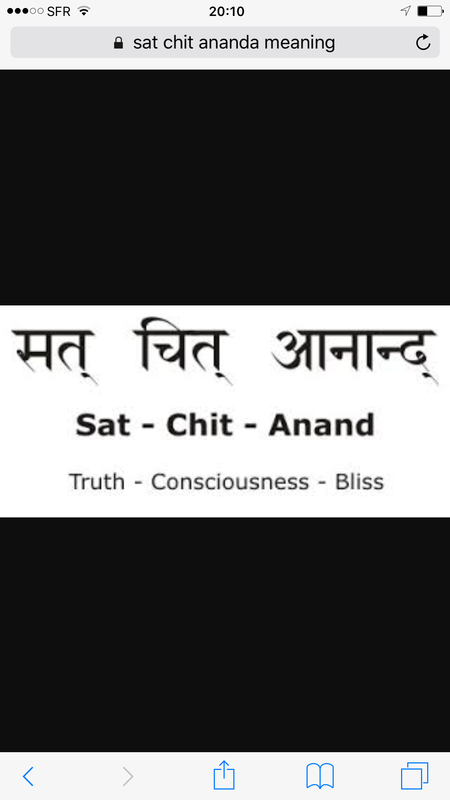 But the reality is these moment s are available for us to inhale. Thank you Shakespeare Bookstore for continuing to inspire all of us throughout the decades. Your beauty, history, and magic will always light the creative flame in my unrequited heart. as I hand out these gratitude cards, this elder jolly French man while standing in line offered me and the baristas candy. I didn’t understand a word of French he spoke, but smile and nodded as I handed him a card. Although we cannot communicate via words , the language of Gratitude transcends all.